Disney's latest feature film is a retelling of the classic tale of Rapunzel in an edgy, comedic fashion. “Tangled” seemed like a “Shrek” wannabe from its juvenile trailers, which emphasize the humor instead of the stronger and more fascinating plot or soundtrack. However, hearing nothing but ecstatic reviews from others, I decided to give it a chance, hoping I would agree. Unfortunately my reaction, while not completely negative, was still not as positive as I'd hoped. 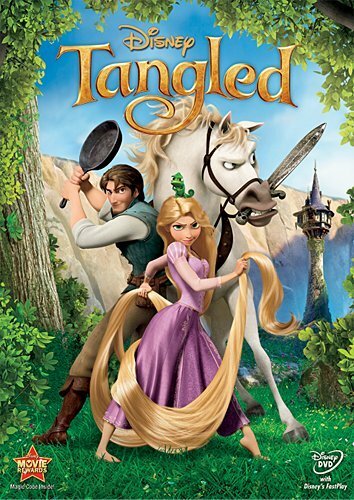 “Tangled” puts its own interpretation on the well‑known Grimm fairy tale. Here Rapunzel is a teenager as giddy and awkward as Ariel in “The Little Mermaid.” Her prince comes in the form of an egotistical yet likeable thief who winds up in her tower one day after successfully pulling off his greatest heist. Rapunzel seizes the opportunity to bribe him into taking her to see the outside world. Adventure and some drama ensue as the two set out on their journey. While enjoyable, the story is predictable, following the overused Disney formula that invariably includes your standard coming-of-age heroine/hero, comedic animal sidekicks, nonredeemable villain, upbeat soundtrack, adventure with a pinch of romance, and lastly, the film is obviously based on a famous fairy tale. The love‑hate relationship between Rapunzel and the villain, Mother Gothel, is refreshing and intriguing. The modern edge does not rely on pop‑culture gimmicks or gross humor, clearly another bonus. Its edge invigorates the humdrum tale, making Rapunzel a relatable teen who finds the courage to become a symbol of feminism as she uses her multifunctional hair as a weapon to rescue her “prince.” The thief Flynn is another welcome improvement; he has a complex, evolving personality that is unlike the clichéd dull princes who plague earlier Disney movies. The visual style is positively stunning and rivals renowned Pixar's latest feat, “Toy Story 3.” The atmosphere is mesmerizing and resembles classical art. The settings and characters sparkle with a warm glow, and the animation is highly realistic while still retaining cartoonlike appeal. Disney has succeeded in creating another ultimately enjoyable film. But, they must learn to step outside their comfort zone if they are to regain their former glory and compete in the evolving market. unal's romance. For a childlike movie, the humor was enjoyable to all ages and even I cried at the very end. This movie is delightful and I would definatly reccomand it to all ages. I absolutely love Tangled! I saw it twice. You have to keep in mind that this is a kid's cartoon; they aren't necessarily aiming at new and improved movies, they are aiming at what will keep the kids interested, which is the classic story. So yes, the movie is going to be in Disney's 'comfort zone' as you called it, for the sake of the children who are the majority of te audience. However, I thought the humor and consideration for Rapunzel, who never gets much notice, was very nice, and very well played. The storyline was innocent without being cheesy, but dramatic without being boring. The overall affect was brilliant. Not to mention some unexpected twists and turns here and there, that were both unexpected yet predictable, and had me thinking "It won't happen" but knowing at the same time that it probably would. So yeah, maybe the story was the same as any other Disney princess movie, but the characters were unique and the plotline was refreshing and developed. Disney did a great job with this one. "Our scars remind us of where we've been; they don't dictate where we're going." I've seen the previews, and about amillion pics of the movie on my friend's phone, and I suppose I'd consider watching it, but I'm not that into Disney movies in the first place. There are one or two favs, but nothing more. Disney's not my forte. Most reviews I've heard/read though have been relatively positive. I thought Tangled was super cute. LOVE DISNEY!